The AA (the Automobile Association) was founded in 1905 by a group of motoring enthusiasts that wanted to help drivers avoid police speed traps! Now, over 100 years later, the company has grown significantly to become one of the most trusted and recognised brands in the UK, primarily offering car insurance, driving lessons and breakdown cover. As the company grew, so did its market, and the AA now offers a range of other financial products and services, including personal loans, savings accounts, holidays and AA travel insurance. AA offers a wide variety of travel insurance policies, including single trip cover, multi-trip annual cover, backpacker’s cover, wedding cover and golf cover. Single trip cover offers protection for a single trip of up to 185 days, and covers medical expenses, personal baggage, cancellation, personal accident and personal liability as standard. However, there are two tiers of cover available: Standard and Essentials. Standard cover insures you for greater sums than Essentials – for example, £10m in medical expenses compared to £2m, and £1,500 in personal baggage compared to £500 – and also offers a number of benefits that Essential cover does not, such as delayed departure, abandonment and hospital benefit. AA Essentials cover does not include any existing medical conditions. Multi-trip insurance offers the same level of cover – with the same caveats – as single-trip cover, but allows multiple trips throughout the year, providing they do not exceed 61 days. Backpacker’s travel insurance provides cover for backpacking trips around individual or multiple countries, and also offers cover for casual jobs abroad, including bar work and fruit picking. This policy allows trips up to 365 days in duration and allows you one visit home for up to 14 days without voiding your policy or charging you extra. Winter sports cover protects against any unforeseen eventualities taking place on ski and snow holidays, and covers ski equipment and piste closure as well as usual travel insurance items such as medical expenses and personal liability. Golf cover follows the same idea but for golfing, including cover for owned or hired golf equipment and irrecoverable green fees. Finally, the AA also offers wedding travel insurance cover, which provides a range of standard travel insurance benefits plus it provides protection for loss or theft of wedding rings, gifts, clothing, photographs and video. This policy also covers reasonable additional costs of hiring a professional photographer or videographer if those originally booked are unable to attend due to illness, injury or unforeseen transport problems. Regardless of the policy chosen, existing AA members will enjoy enhanced benefits such as excess waiver and UK rehabilitation cover. Right for you? Get an AA travel insurance quote online. The AA offers two tiers of cover: Standard and Essentials. It’s not possible to add existing medical conditions to Essentials cover, but you can do on a Standard policy, which also offers a number of extra benefits, such as greater financial protection and additional features. Those seeking a quote are asked to complete an online medical declaration, which lists a number of potentially-problematic conditions. If any of those conditions apply, the AA requests that you call an advisor to discuss your options. How much does an AA travel insurance policy cost? The cost of travel insurance with the AA will depend on a number of factors, such as the type of cover you require, the duration of your trip, any pre-existing medical conditions, and so on. Get a personalised quote here. What do the AA’s customers say? According to customer satisfaction scores on Which? 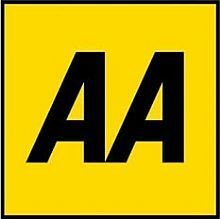 the AA has 68% for customer service, and an overall score of 73%. Which? 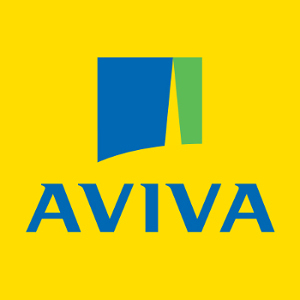 awarded the AA a score of 77% for both its single trip and annual policies, which combined with its customer score of 68% gives an overall score of 73%, placing them 21th out of 38 providers. By comparison. Defaqto, an independent researcher of financial products, has awarded the AA’s single-trip Gold and Silver policies 5 Stars, making it “an excellent product with a comprehensive range of features and benefits”. Its Bronze single-trip policy, however, scores just 2 Stars, making it “a product offering a limited range of features and benefits”. Its Gold annual multi-trip policy scores 5 Stars; Silver scores 4 Stars making it a “standard products providing a good level of features and benefits” and its Bronze annual policy scores 3 Stars making it a product "with an average level of features and benefits". Get a quote from The AA Travel Insurance.